A sore throat is caused by irritation and inflammation of the throat. 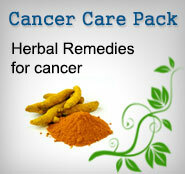 This condition is generally quite easy to remedy using Ayurvedic methods. Agnitundi Vati: 2 tablet twice daily. Maha Shankh Vati : 2 tablet twice daily. 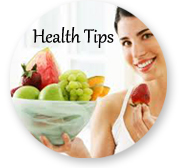 Take about 1/4 teaspoon of this mixture J times a day with warm water, aftermeals. The word Agni indicates digestive fire. This formulation is useful in lack of, digestive fire, indigestion, loss of appetite, constipation and body pains due to 'Vata'. Agnitundi tablets help to correct this condition. Piper longum - it is a well known drug and excellent remedy for digestive disorders. It is effective as a CNS stimulant. It also has various properties like anti-inflammatory, haematinic, sedative, cholagogue, digestive, appetizer and carminative. It is useful in respiratory disorders. It stimulates the nervous system and counteracts drowsiness. It also acts as analeptic and hypotensive. Plumbago zeylanica - it is an effective digestive and carminative. It is effective in treating digestive disorders like loss of appetite, indigestion, hyperacidity, piles, worms, colitis, ascites and liver diseases. It improves the functions of the liver and augments appetite, improves digestion and relieves constipation.